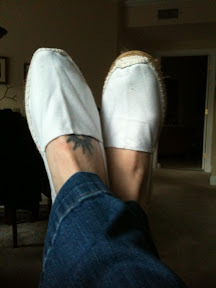 The Hosta Chronicles: Espadrilles...? Meh. I think they are about a half size too small (ordered online and they didn't come any bigger), but that doesn't negate the fact that I just don't have 'espadrille feet'.